21st Century China Center founder and GPS International Advisory Board member Kwan So established this forum as a touchstone of his passion to foster greater U.S. and China understanding. The Sokwanlok distinguished Lecture Series, which predates the 21st Century China Center, brings top leaders and thinkers from China and elsewhere to offer front-line insights and analysis of the most pressing economic and political trends in China and U.S.-China relations. "U.S.-China Symbiosis: A Conversation with Joe Tsai"
With the United States as the world’s dominant power and China as the world’s rising power, we are poised to enter a period of profound geopolitical and geoeconomic transformation. Joe Tsai, co-founder and executive vice chairman of Alibaba Group, offered his unique insights into the elements that will shape this change, highlighting one of the most important international relationships of our time. 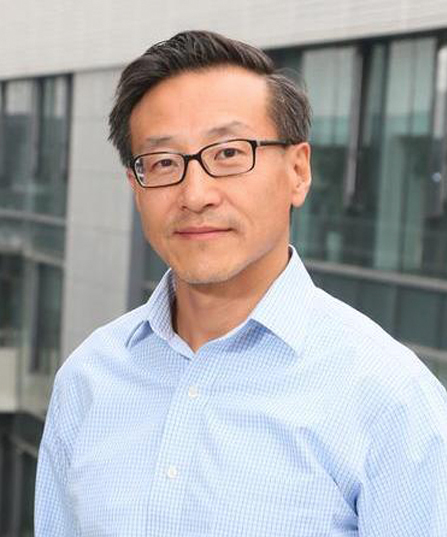 Joe Tsai joined Alibaba Group in 1999 as a member of the founding team and has served on the board of directors since its inception. He was chief financial officer until 2013 and is currently executive vice chairman of the company. He serves on the investment committees of Alibaba Group and Ant Financial and is a founding member of Alibaba Partnership. From 1995 to 1999, Tsai was a private equity investor based in Hong Kong with Investor AB, the main investment vehicle of Sweden's Wallenberg family. Prior to that, he was general counsel of Rosecliff, Inc., a management buyout firm based in New York. From 1990 to 1993, Tsai was an associate attorney in the tax group of Sullivan & Cromwell LLP, a New York-based international law firm. Tsai is qualified to practice law in the State of New York. He received his bachelor’s degree in economics and East Asian Studies from Yale College and a juris doctor degree from Yale Law School. U.S.-China Symbiosis in the 21st Century? 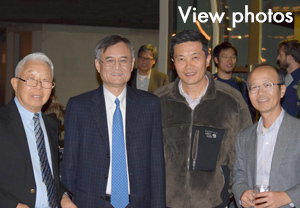 On Feb. 14, 2019, the 21st Century China Center hosted Joe Tsai, co-founder and executive vice chairman of Alibaba Group, to discuss the future of U.S.-China relations at the center’s annual Sokwanlok Distinguished Lecture on China. This series brings top leaders and thinkers from China, drawing audiences from the academy and beyond to hear front-line insights and analysis of the most pressing trends in China. China's model of state-led development differs both from Western approaches and also from its East Asian neighbors' industrial policies by focusing single-mindedly on infrastructure investment. This strategy was pursued both inside China and is the basis for its ambitious "One Belt, One Road" initiative. In the seventh Sokwanlok Distinguished Lecture on China, Francis Fukuyama, who has written widely on issues in development and international politics, focused on the economic logic, functioning, and vulnerabilities of this approach to development in this lecture. 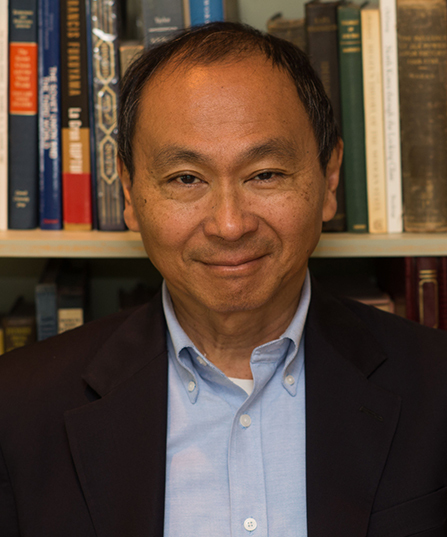 Francis Fukuyama is Olivier Nomellini Senior Fellow at the Freeman Spogli Institute for International Studies (FSI), and the Mosbacher Director of FSI's Center on Democracy, Development, and the Rule of Law at Stanford University, where he is also a professor of political science. Dr. Fukuyama has written widely on issues in development and international politics. His book, The End of History and the Last Man, was published by Free Press in 1992 and has appeared in over twenty foreign editions. His most recent book, Political Order and Political Decay: From the Industrial Revolution to the Globalization of Democracy, was published in September 2014. Read his full bio online. In this China 21 Podcast, Francis Fukuyama and Barry Naughton trace the origins of the Chinese state, its historic economic modernization, and how the current Xi Jinping era is challenging assumptions and theories about political order and decay. YU Keping, a renowned scholar and advocate of reform in China addressed the great changes in governance since the economic reform. He traced the principal lines of governance reform in China since the 18th Party Congress and assessed the main challenges going forward. Pacific Leadership Fellow YU Keping is the dean of the School of Government at Peking University. He has continued to be a stable voice in Chinese academia, as well as a strong advocate for democratization and rule of law from within the establishment—his book “Democracy is a Good Thing (2009)” relaunched an intellectual debate on the future of China’s political system and democratization. As China's economic growth rate has declined to 7.5% in 2014 from its recent historic average of 9.8%, the once unstoppable economy is said to have entered a “new normal.” This new paradigm is forcing China's leaders to face a series of new and vexing questions: How to increase the quality of growth and make substantive reforms to the growth model? What will be the spillover effects of this slower growth? 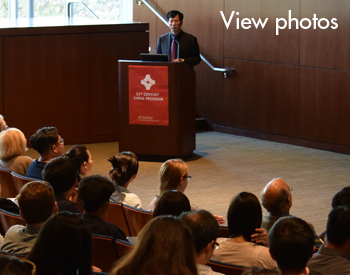 Yingyi, one of China's foremost economists, helped navigate the future of China's economy during this talk. 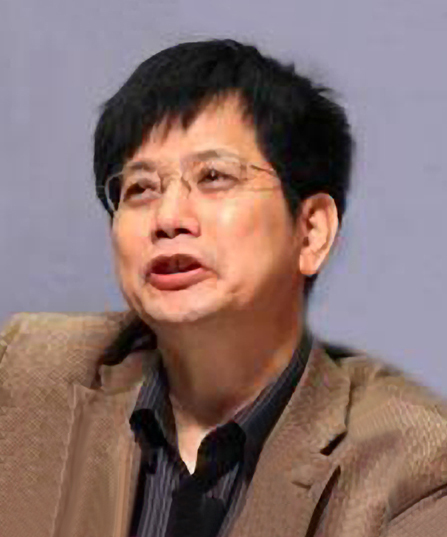 Qian Yingyi (钱颖一) was born in Beijing and graduated from Tsinghua University with a degree in mathematics in 1981. He received his Ph.D. in economics from Harvard University after earning an M.Phil. in management, science, operations research from Yale University and an M.A. in statistics from Columbia University. He was on the faculty at Stanford University, the University of Maryland and UC Berkeley. 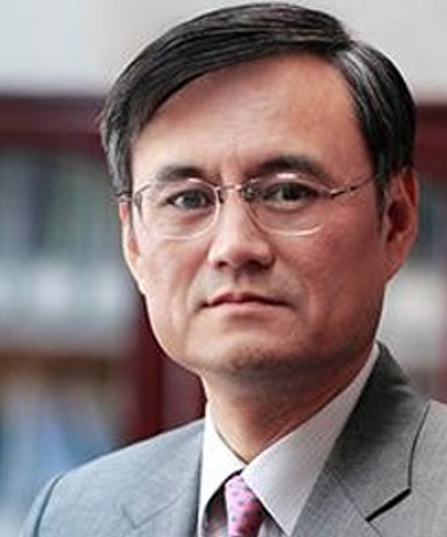 He was appointed as the dean of the School of Economics and Management at Tsinghua University in October 2006. 2006: WU Jinglian, Development Research Centre of the State Council of P.R.C.